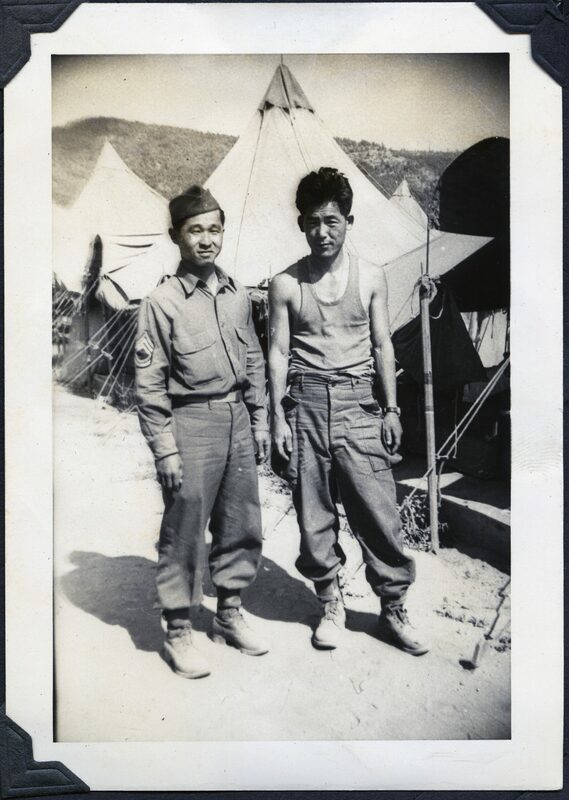 During World War II, thousands of Japanese-American soldiers proudly served in the U.S. Army. These men, known as Nisei (second generation Japanese born in the United States), did so despite the internment of many Japanese-Americans due to their ethnic background. Once given the opportunity to serve, many men enthusiastically volunteered for military service, with most ending up in the famous 442d Regimental Combat Team (RCT) that saw combat in Italy and France. A smaller number served with the Military Intelligence Service (MIS) and made important contributions to the war effort as linguists and intelligence analysts. One of these men who served with MIS, Kazuo Yamane, was born on 8 December 1916 in the Kalihi neighborhood of Honolulu, Oahu, in the then U.S. Territory of Hawaii to a large family of eleven children (including four boys). 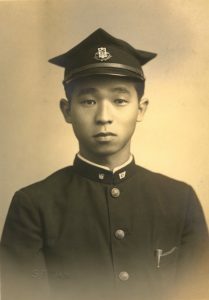 After graduating from McKinley High School, where he participated in JROTC, in June 1934, he worked for his father’s business for a year before traveling to Japan to attend Waseda University in Tokyo. 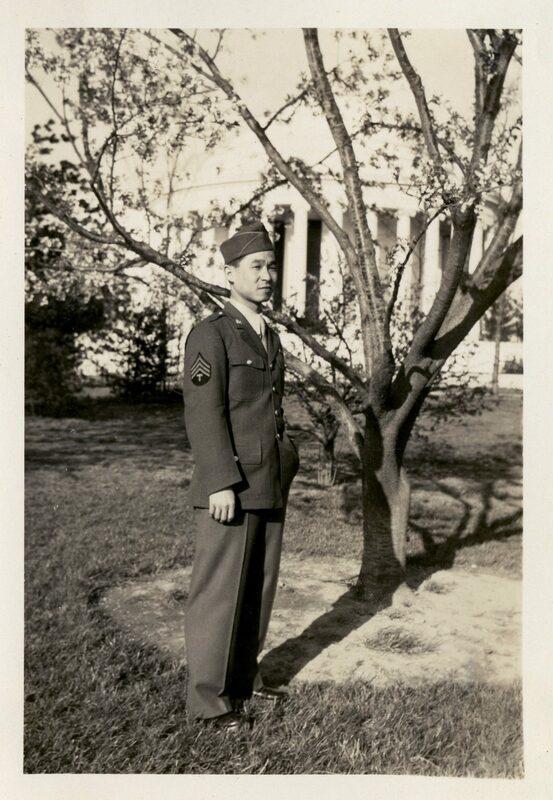 Because Yamane had Japanese citizenship (Yamane’s father registered him with the Japanese Embassy upon birth) in addition to American, he was required to serve in the Japanese equivalent of ROTC while at university. After graduating in June 1940, he returned to Hawaii two months later. 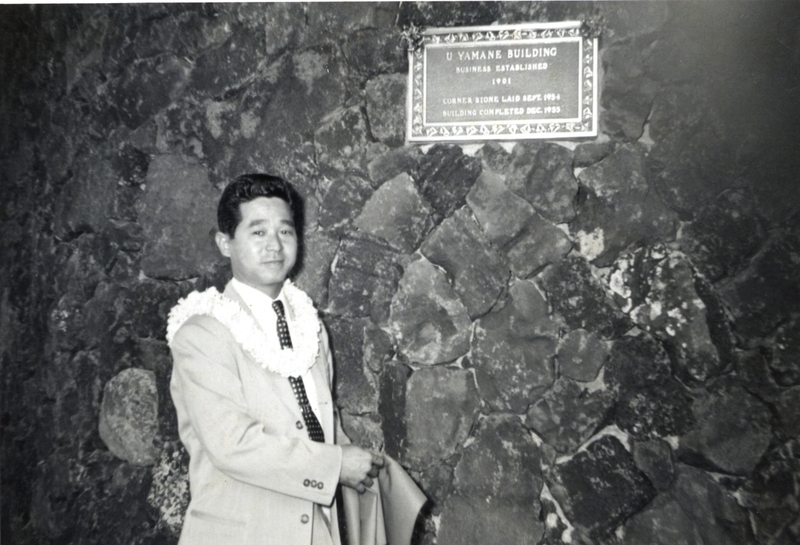 He soon enrolled in the University of Hawaii on a part-time basis while returning to work for his father’s business. By late spring 1941, however, Yamane was forced to leave school to work full time as all the male employees of his father’s company had been drafted. Initially granted a deferment, Yamane eventually received his draft notice on 14 November 1941 and reported to nearby Schofield Barracks to begin his military service. On 7 December 1941, Yamane was home in Kalihi on a weekend pass when Japanese aircraft struck Pearl Harbor and other military installations on Oahu. His family home was close enough to Pearl Harbor that he could see antiaircraft shell bursts and heavy smoke billowing up from burning ships and airfields. Soon, radio reports went out ordering all military personnel to report to their posts immediately. Yamane donned his uniform and rushed to Schofield Barracks. During the drive, he witnessed aircraft attacking Pearl Harbor and saw several ships burning and sinking. Upon reaching Schofield Barracks, Yamane and other soldiers were issued M1903 Springfield rifles and ammunition. Rumors of an imminent Japanese invasion and acts of sabotage by “fifth column” elements put soldiers and citizens on edge that first night. Soon, Yamane was assigned to Company E, 298th Infantry, Hawaii National Guard, which was stationed in a sector between Hauula and Kanehoe. From December until May 1942, Yamane served as part of a three-man machine-gun crew along the beach at Kahaluu. In addition to watching for an enemy invasion that never came, Yamane and his fellow soldiers spent many hours stringing up barbed wire along the beach. In early June, Yamane and his fellow Nisei soldiers, about 1,500 total, were ordered to Schofield Barracks from their units in the field. Without leave to go home, the soldiers were sent to Pearl Harbor, where they boarded the USAT Maui, a steamer converted into a troopship, for California. The Maui made much of the trip unescorted through waters with suspected Japanese submarines. Because of this danger, Yamane later recalled that he made it a point to sleep on the top deck. 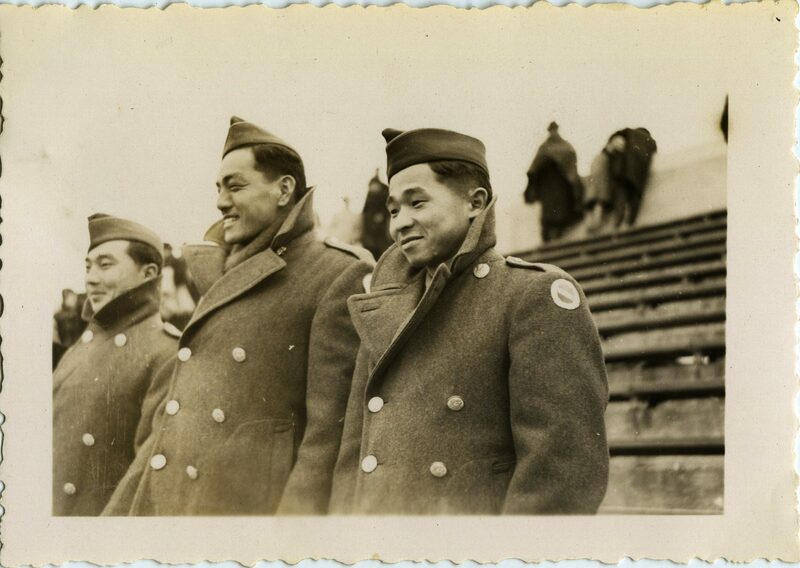 Upon their arrival at the Port of Oakland, Yamane and his fellow soldiers boarded trains for Camp McCoy, Wisconsin, where they were organized into the 100th Infantry Battalion (Separate). The men soon began training for eventual combat in Europe, first with the 34th Infantry Division and later with the 442d RCT. Ironically, the fathers of several soldiers assigned to the 100th were housed in an internment camp near Camp McCoy. 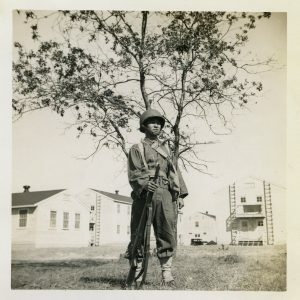 Over the next six months, the Nisei soldiers of the 100th Infantry Battalion underwent combat training while the War Department determined where to deploy the battalion. At the same time, the federal government relocated thousands of U.S. citizens of Japanese descent, most of them living on the West Coast, to internment camps in isolated areas across the western United States. Upon their selection, Yamane and the other volunteers received orders assigning them to the MIS Language School (MISLS) at Camp Savage, Minnesota. During their six months at Camp Savage, Yamane and other others trained as intelligence specialists and linguists to support the war effort against Japan. 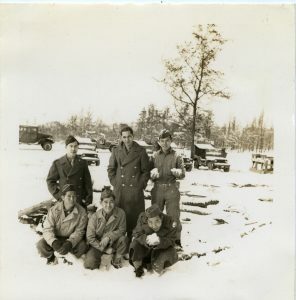 In addition, they also spent much of their time battling the elements; temperatures dropped as low as forty-seven degrees below zero, and the camp received heavy snowfall. Yamane recalled he and his fellow soldiers had only two pot belly stoves for a barracks of sixty men, and they kept them constantly stoked in an effort to keep warm. 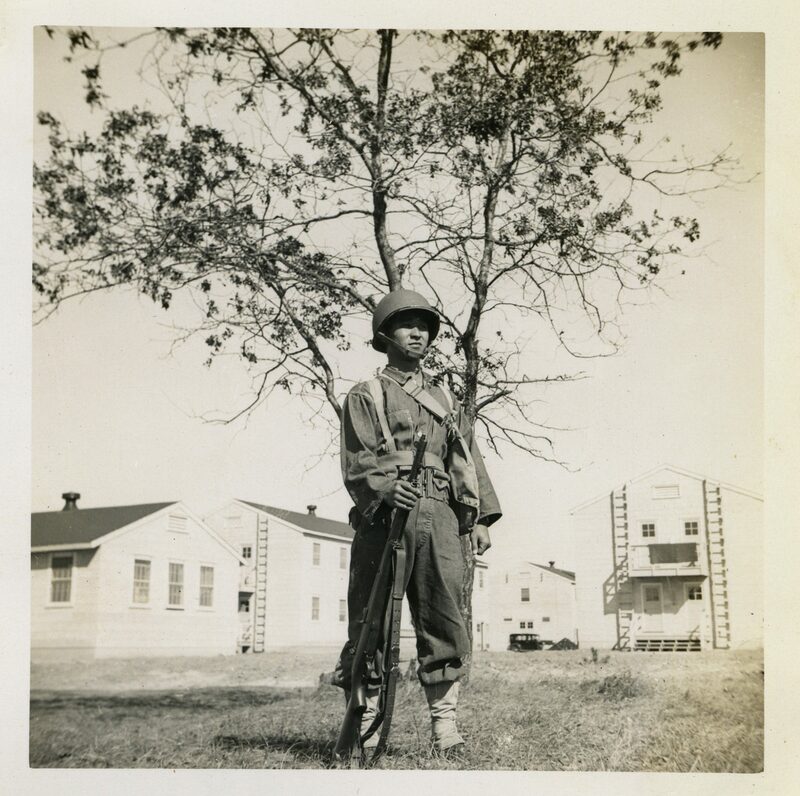 After graduation from the MISLS in June 1943, Technical Sergeant Yamane and three other soldiers received their duty assignment and departed Camp Savage by train, destination unknown. During the train ride, the team leader, Technical Sergeant Jimmy Matsamura, opened their sealed orders and learned they were heading for Washington, DC. Upon arrival in the nation’s capital, the team was assigned to the Pacific Order of Battle Section, Military Intelligence Division, War Department, in the Pentagon under the direction of Captain Lardner W. Moore, a former missionary who served in Japan before the war. While at the Pentagon, Yamane’s team was involved in cross referencing and indexing—in both Japanese and English—names of the Japanese Army’s regular and reserve officers and their respective units based in Japan, China, and other areas. This information, which eventually filled several file cabinets, was compiled from a large book found floating amongst debris in the Pacific Ocean off of the Marianas. 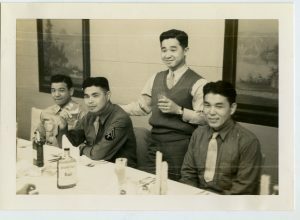 Apart from Jimmy Hamasaki, a civilian employee of the State Department who Yamane knew from his studies in Japan, Yamane and his team were the only Japanese-Americans assigned to the Pentagon. At times, the Nisei soldiers felt out of place in the massive War Department headquarters. Their presence also led to some confusion. One day, while waiting in line at a Pentagon coffee stand, a soldier inquired if the Nisei servicemen were American Indians. When Yamane replied yes, the soldier then asked what tribe. “Osaka,” replied Yamane, giving the name of Japan’s second largest city and enjoying a little laugh at the soldier’s expense. A few months after Yamane arrived in the Pentagon, a second team from Camp Savage was assigned to the Pentagon with the Army Air Forces. A third and larger group of Nisei linguists was sent to Vint Hill Farm Station near Warrenton, Virginia. During this period, Yamane was briefly detailed to Camp McCoy for a special assignment. There, he interrogated Japanese Navy Lieutenant Kazuo Sakamaki, the commander of a Japanese midget submarine who was captured at Waimanalo Beach, Oahu, on 7 December 1941. Yamane was soon surprised to learn that Sakamaki spoke English fluently and did not require an interpreter. Several years after the war, Yamane was in Japan on business touring a Toyota plant when he recognized Sakamaki, who was working as a department supervisor. Not wanting to possibly embarrass the former naval officer, Yamane remained silent and Sakamaki did not recognize him. In early October 1944, Yamane was granted a furlough and traveled to Baltimore, Maryland, to marry his fiancée, Mary Shiyomura. Following their wedding on 12 October, the couple then honeymooned in Philadelphia before Yamane returned to Camp Ritchie. During his absence, Major General Clayton Bissell, the G-2 at the War Department, ordered that the mission of PACMIRS change from order of battle work to translation of captured Japanese documents. Upon his return from his honeymoon, Yamane found that PACMIR had received fifteen crates of documents captured by Naval Intelligence on Saipan in the Marianas. The crates had been marked “no military significance,” but Lieutenant Colonel Gronich believed that someone should go through them and assigned Yamane the task. When he began studying the documents in early December, Yamane came across a bound item that resembled a textbook and with the title “File of Proceedings of 1944 Liaison Conference of Chiefs of Ordnance Departments.” Upon closer examination, the document was the highly classified official record of a May 1944 meeting of top Japanese staff officers that reviewed Japan’s stocks of munitions and procurement programs. It also included inventories and statistical tables of all major weapon systems and munitions. Recognizing the importance of the document, Yamane immediately showed it to his superiors. Gronich responded to this discovery by immediately canceling all holiday furloughs and assigning additional soldiers to work on the document’s translation. The document proved to be so important that an Army staff car delivered each day’s translation directly to the Pentagon. Eventually, information gleaned from Yamane’s discovery was used as targeting data for B-29 Superfortress raids against Japan. It also allowed U.S. occupation forces to locate and secure caches of Japanese weapons and munitions after the end of World War II. Shortly after the discovery of the Japanese ordnance document, Yamane and two other Nisei soldiers received notice for a possible deployment to Europe, but these plans were shelved when the Germans launched their offensive in the Ardennes on 16 December 1944. Supreme Headquarters Allied Expeditionary Force (SHAEF) G-2 did not make an official request for Japanese-language personnel until January 1945. In February, the three-man team led by Major John M. White and including now Master Sergeant Yamane flew out of New York for Europe, where they were assigned to SHAEF G-2 Far Eastern Section in Versailles. SHAEF’s original plan for the team was to have them enter Berlin ahead of the Russians with British commandos to acquire and translate documents from Japanese embassies and businesses, but the mission was canceled when the Red Army could not guarantee the team’s safety. With the Berlin mission scrubbed, the team was split up, with the soldiers deployed to separate geographical regions to obtain Japanese documents. Yamane’s travels took him to Belgium, Germany, Italy, and finally to Yugoslavia, where Yamane was on 8 May—V-E Day. He later traveled to Lake Como in Italy for a brief visit with his younger brother, Akiharu, a soldier in the 442d RCT. Two other brothers, Kosei and Sidney Seiji Sunouchi (adopted by the Yamane family) also served in the Army, and like Kazuo, in MIS. While still assigned to SHAEF, Yamane received word from the Red Cross that his father had suffered a stroke. He soon returned to the United States and was honorably discharged from the Army in July 1945. He returned to his family business, U. Yamane, Ltd., and eventually took over for his ailing father. The company later became successful in commercial development in Hawaii. In May 1997, in recognition of his World War II service, Yamane was awarded the Legion of Merit for “exceptionally meritorious conduct in the performance of duties which profoundly influenced the successful outcome of the war against Japan,” along with four other MIS veterans at the Japanese Cultural Center of Hawaii in Honolulu. In 2010, the veterans of MIS, along with those of the 100th Infantry Battalion and 442d RCT, were awarded the Congressional Gold Medal in recognition of their service in World War II. A proud veteran whose contributions to the war effort against Japan were invaluable, Yamane died on 28 April 2010 at the age of ninety-three.